At this point in the season, the slow start was no surprise. And as Indiana cut what was once a Nebraska 18-point lead to single digits at half — followed by a strong start once out of the locker room to cut the lead to three — one figured, at the very least, the Hoosiers would make a game of this one. But that was not the case, as the Cornhuskers easily rode this one out to a 15-point victory. It’s been said by others and is true: This is a bad loss for Indiana, arguably eclipsing its loss at the hands of Duke back in November as its worst of the season. Start with Indiana’s offense, which was second-rate this evening. Nebraska entered the contest with the second-worst defense in Big Ten play, but you wouldn’t know it by watching this one. 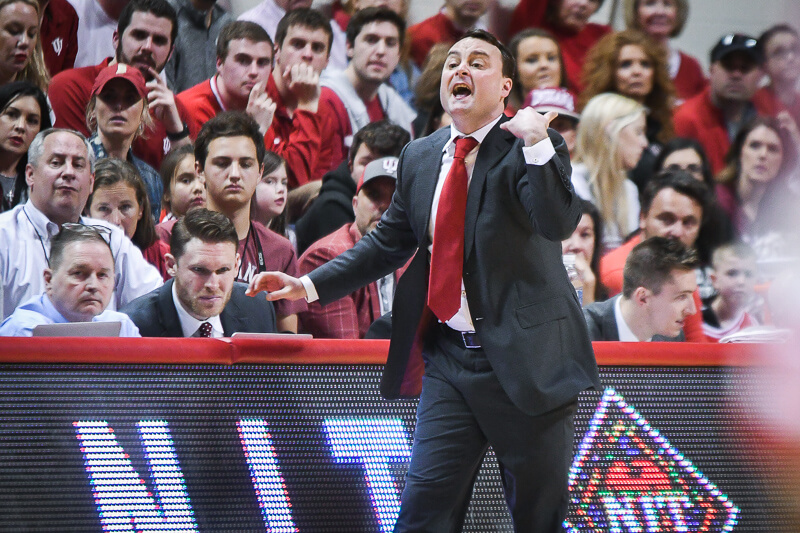 Its ability to mix in a 1-3-1 zone with its man defense frustrated the Hoosiers, as they struggled to get any sort of rhythm going against the zone. The Hoosiers hit just 2-of-14 from distance, sometimes going to the 3-ball too early in possessions, a common occurrence this season. Their free throw shooting reverted back to early season form, as they shot just 57.9 percent (11-of-19) from the line. After two straight games of taking care of the ball well, Indiana’s turnover rate shot up to 20 percent. Devonte Green (1-of-6), Justin Smith (2-of-7), Robert Phinisee (1-of-3) and Evan Fitnzer (0-of-3) shot a combined 4-of-19 from the floor. 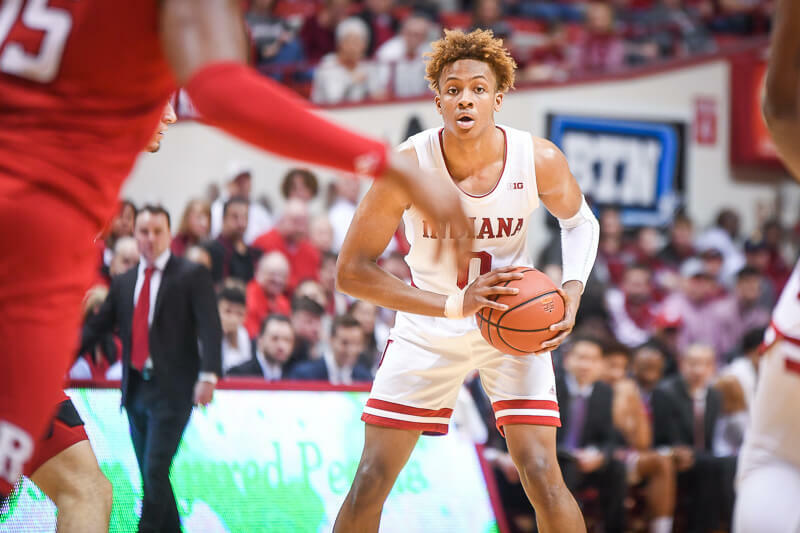 And while Romeo Langford was a spark in transition and led all scorers with 18 points, there were times when it felt like he was trying to do a little too much, and he ended up shooting just 35 percent from the floor (5-of-14). Add it all up and Indiana’s 51 points and .80 points per possession were both season lows. That’s just not going to get it done in Big Ten play. 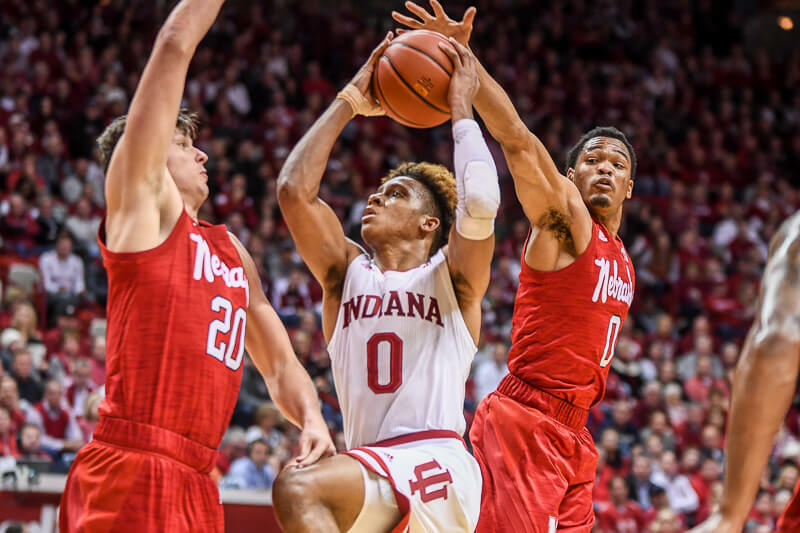 While it defended poorly to start and allowed the Cornhuskers to go on streaks to punch its lead back out, especially having trouble defending the 3-point line, overall Indiana defended well enough to win this one. Nebraska threw a balanced attack with four players in double figures (James Palmer, Glynn Watson Jr., Thomas Allen, Issac Copeland) and one with nine points (Isaiah Roby), but scored 1.02 points per possession, its lowest output in a win this season. And that was perhaps the most unsettling thing in this one: Indiana, in a home game, played flat and uninspired, letting Nebraska win with ease. The Hoosiers have now lost three straight. They get rewarded with a trip to Purdue on Saturday and you best believe the Paint Crew will be relentless inside Mackey Arena. 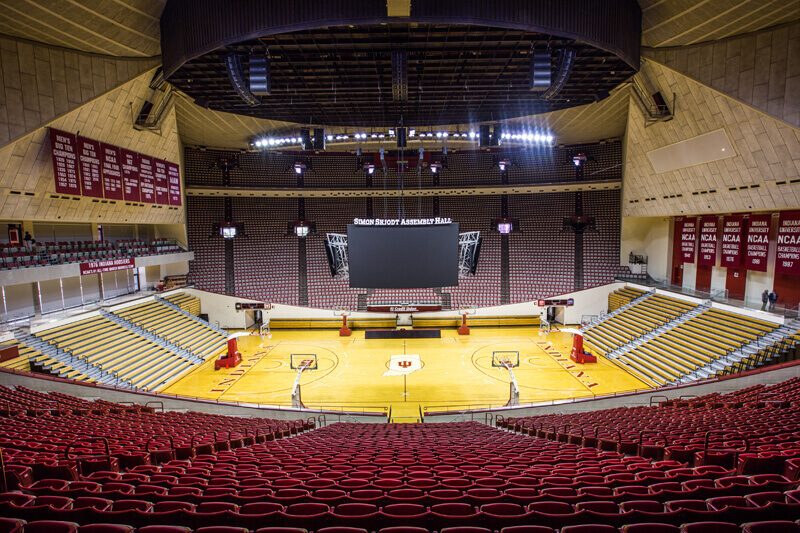 This Big Ten schedule is paying the Hoosiers no favors. And with tonight’s loss, they only have themselves to blame.